Here I come with a great destination wedding idea. Miami is an ideal destination for many types of travel couples. It is a great place for surfers, party people, thrill seekers (gators, ya know), architecture admirers and for the ones seeking for the beach holiday as well. 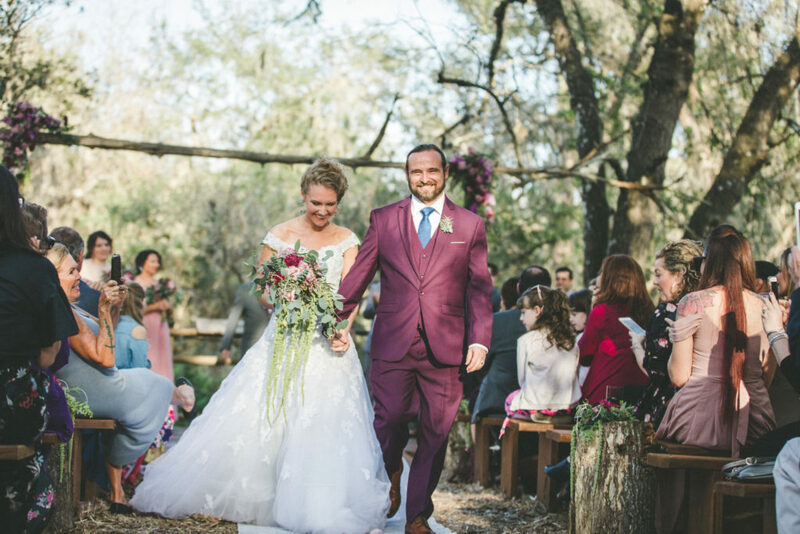 It has recently become a popular wedding destination, not only among the American Millennials but among the young people from all around the world. 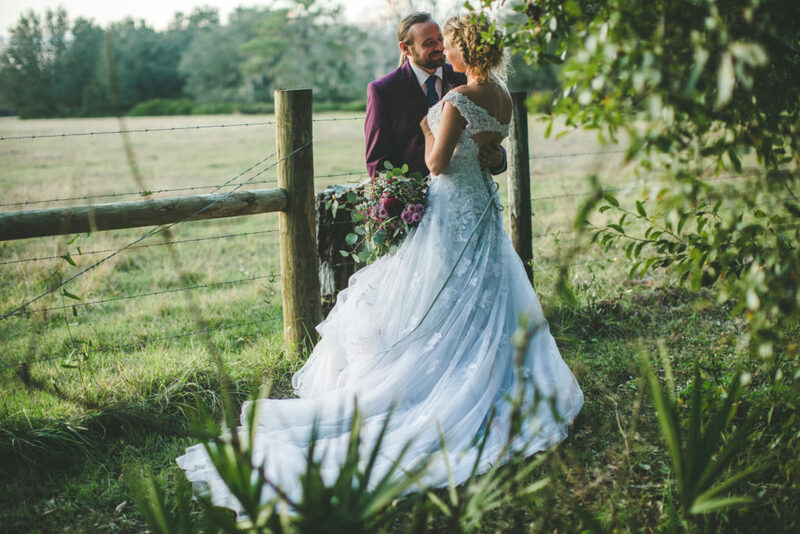 Did you know Florida made it to the top of ‘destination weddings’ list in 2019 (at least according to invitationsbyrsquared)? 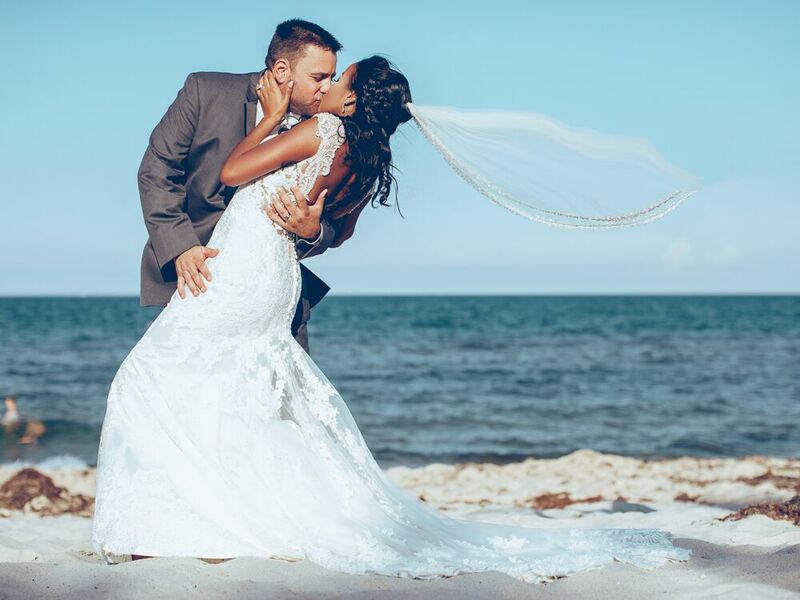 According to the newest internet reports, Instagram and facebook, European and Australian couples often decide to travel overseas in order to say ‘I do’ on the South Beach! 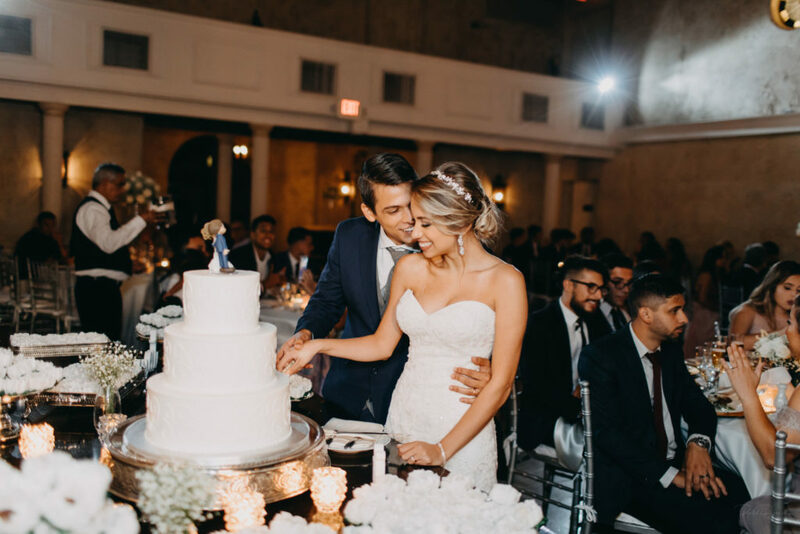 The average event cost of a wedding in Miami is estimated at between $26,253 and $43,842 for a ceremony and reception for around 100 guests. A single guest could add between $213 and $260 to the total cost of your wedding. 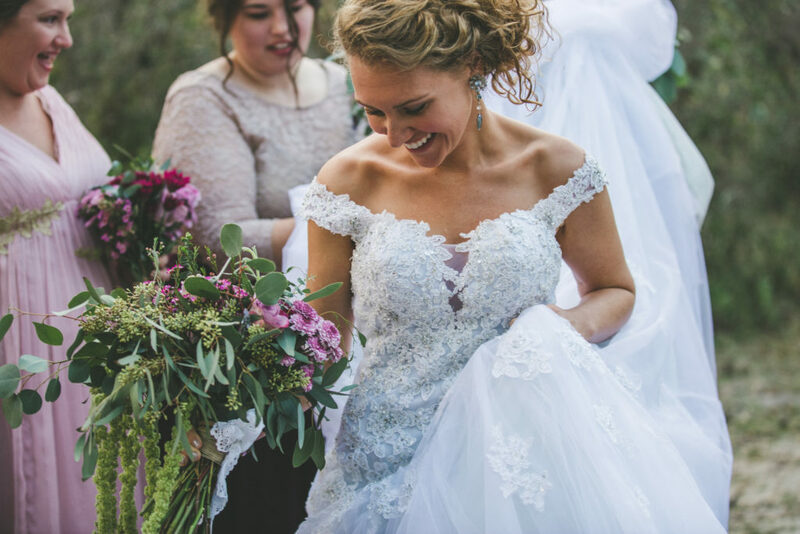 It is what Google says – your wedding can be as rich or as affordable as you want it to be. The flights from Europe are very frequent and you could score a great deal of €300 return if you book in advance (Berlin – Miami Fort Lauderdale). The flights from London vary between £200-400 return. I would say it is much easier to get to Miami than it used to be a couple of years ago. 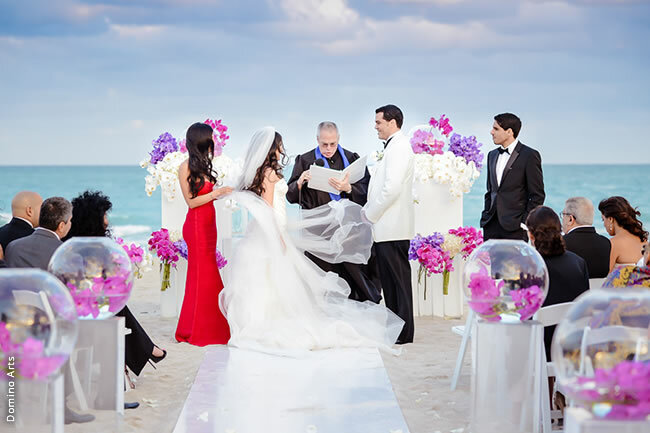 As for the legal procedures – you would have to apply for the marriage licence before you decide to say ‘I do’ in Miami. Both you and your spouse must go together to apply for such marriage license from the marriage license office of the clerk of the courts. The office is located at 73 West Flagler Street in Miami. You’ll need a photo ID, such as your driver’s license, and your Social Security number. Some counties actually require a copy of your Social Security card, but Miami-Dade does not. If either you or your intended spouse were previously married, you’ll also need the exact date of your annulment or divorce, or the date your former spouse died. Some countries, such as Poland, require some more complicated procedures and I would suggest to contact the US embassy before you decide to make further arrangements. Some couples decide for a symbolic ceremony in the US and a legal one in their countries. It is undoubtedly an easy option and saves a lot of hassle. Miami could make your dream come true! 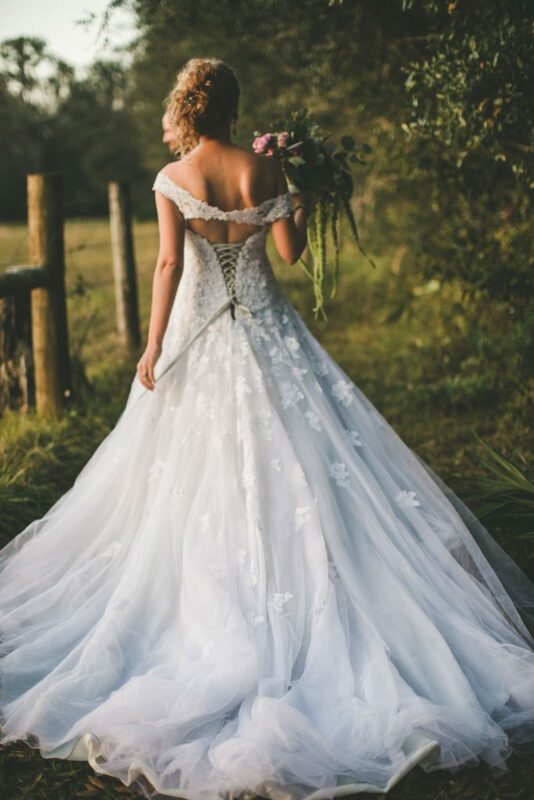 With the help of some amazing professionals and a bit of research, you could make your ‘BIG DAY’ to be the real fairy tale. What better wedding venue than…. the South Beach itself! 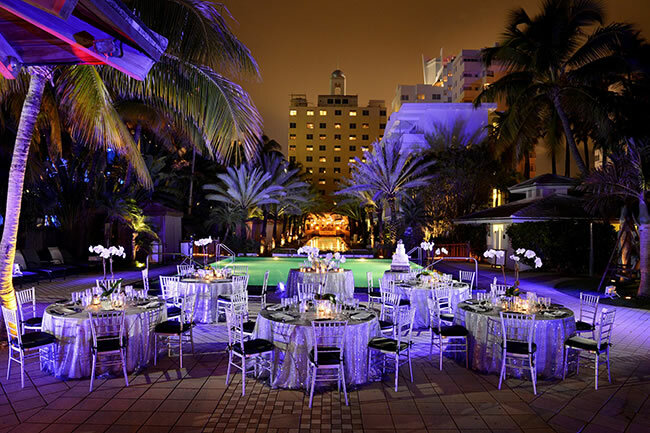 There are the whole variety of boutique venues and luxurious resorts on SoBe. One of my favorite wedding hotels is the famous W South Beach. The hotel has got some amazing features, such as terraces and a lovely restaurant, but the bull’s eye is the fact that the vows can be exchanged on the beach. Another great place is the charming National Hotel Miami Beach. I have chosen to describe this hotel for its remarkable architecture. It is a little bit vintage, a little bit tropical and has the cool Mimi vibe about it. 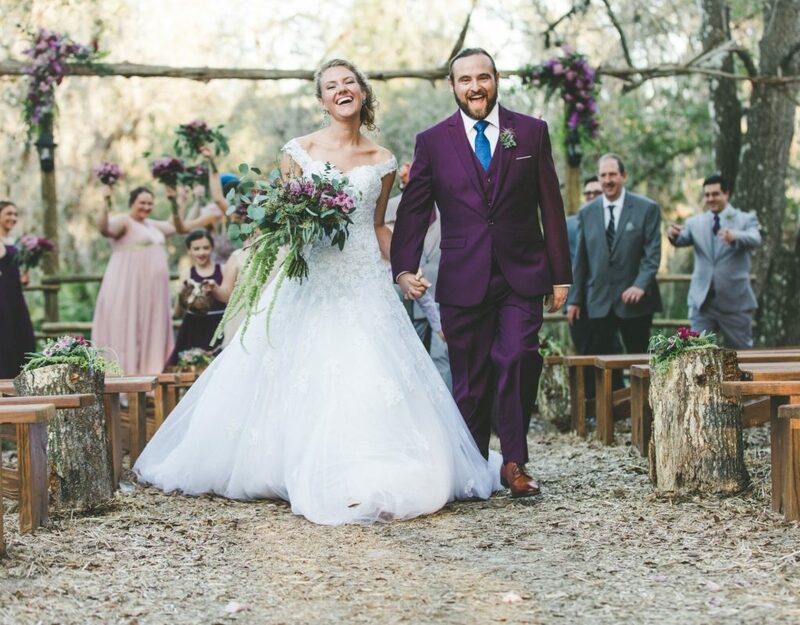 The wedding photos from there come out simply magical! 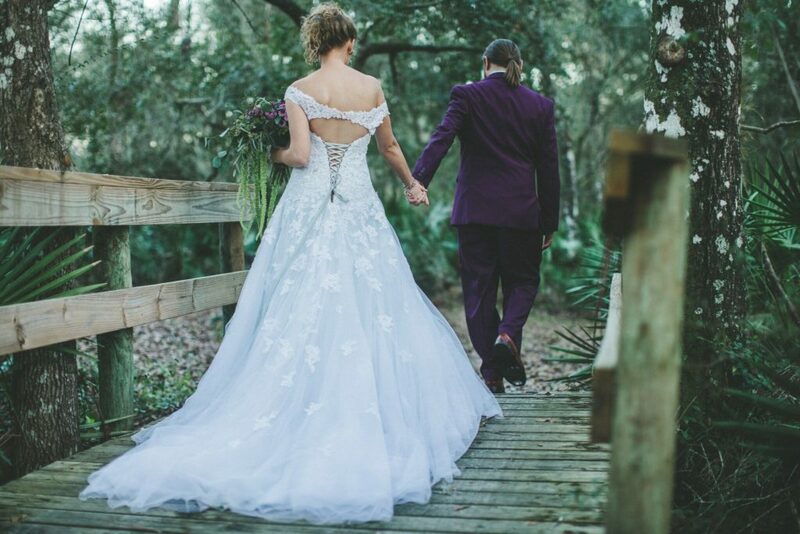 There is an oceanfront available for both – the ceremony and reception. There is also the lovely poolside deck, framed by palms and uplift at night. 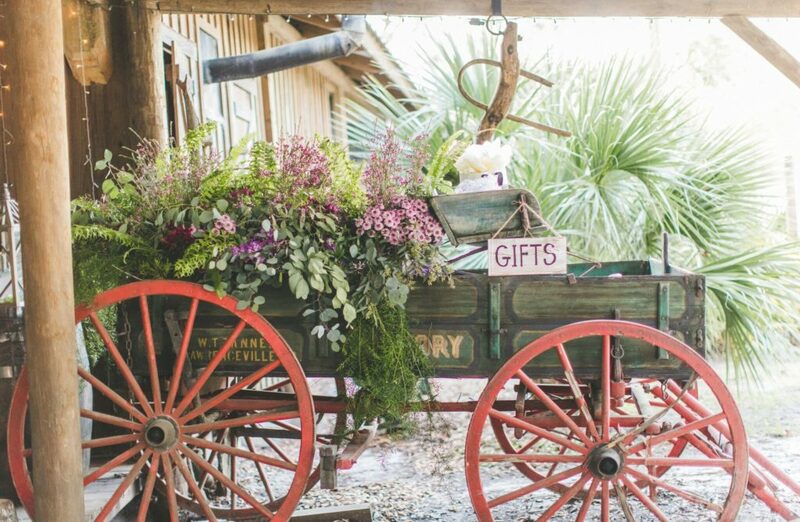 It works beautifully for an al fresco wedding. 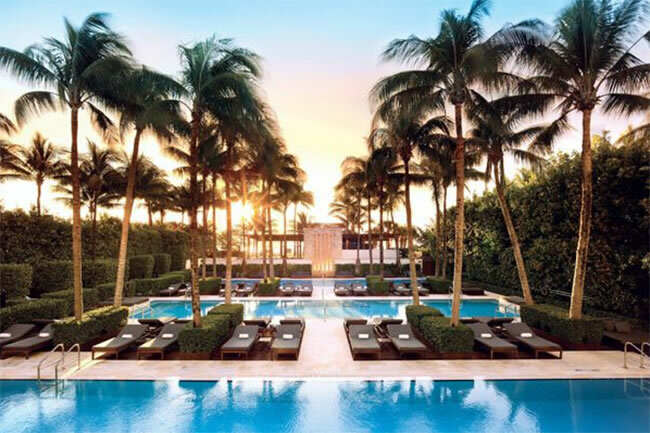 I also love the Asian inspired The Setai Miami Beach, where you can say ‘I do’ on the beach beneath swaying palm trees and a lovely arch provided by the hotel. Setai is a mixture of Miami and Bali, which gives a bit of a unique feel to every wedding. Plus the SoBe in the background. I bet this place is WOW. The real gem of my findings is The Cocoplum Coral Gables. Not only the venue looks great but the staff are the real experts in organizing weddings! 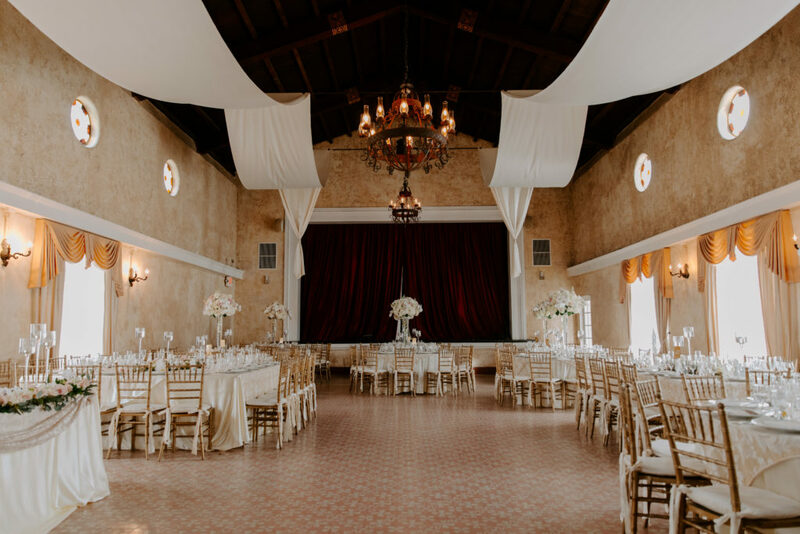 I call it ‘two in one’ as the Cocoplum is a full-service event planning and a production company, working along side and utilizing the Cocoplum Women’s Club property. 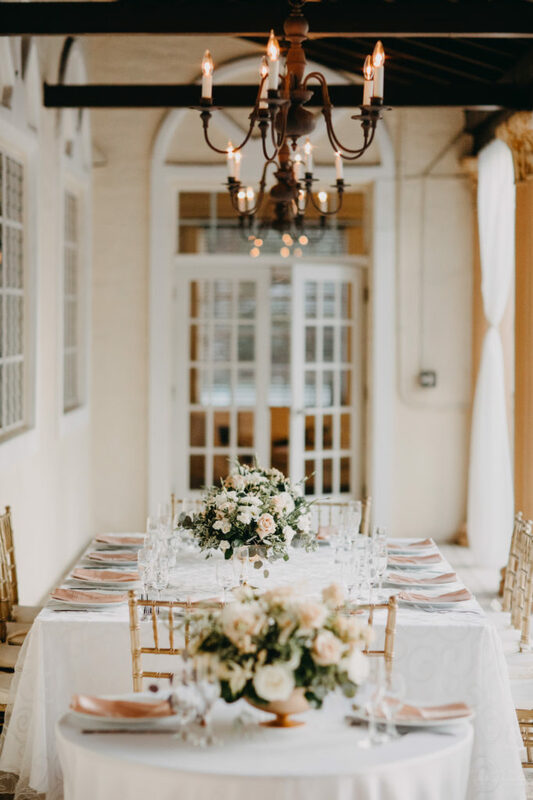 Rosie Hayden, one of the VP and the owner of The Cocoplum Coral Gables, draws from years of experience in wedding planning. This talented lady has worked at over 350 events including some of the most prestigious happenings in South Miami. She has a great eye for detail and knows how to make the couples happy. She puts a lot of effort into what she is doing – Rosie is a perfectionist, which is what you could tell from the photos of her work. She aims to create an unforgettable art! Fernando Smaniotto’s wide-ranging Latin repertoire and strong, ingredient-driven style find full expression in the Latin-inspired menus at The Cocoplum. Smaniotto’s brand of casual taverna cuisine has attracted many young couples and made a lot of wedding ‘culinary perfect’. 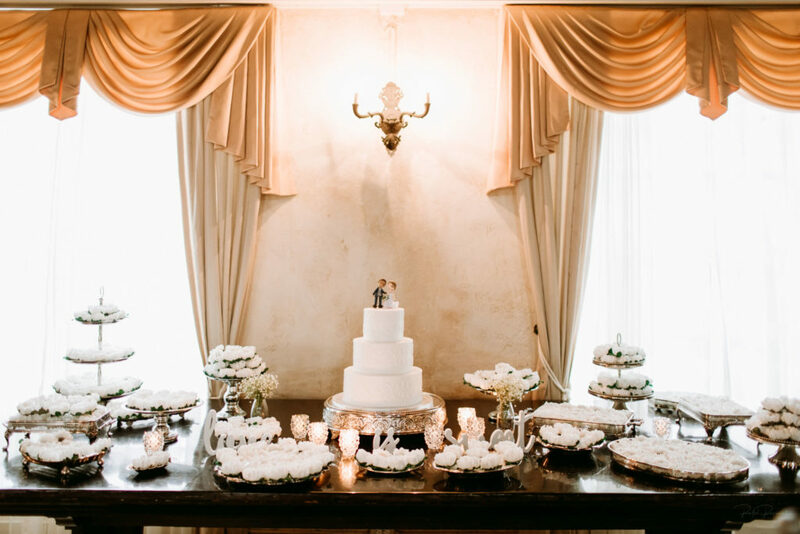 Food is one of the most important ‘ingredients’ of a perfect wedding – that is for sure! 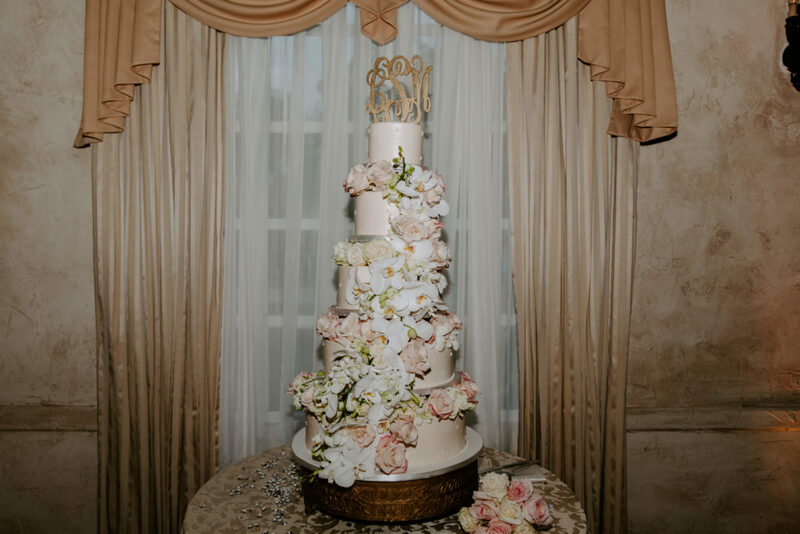 Upgraded linens and Chiavari Chairs are available by request. 2019 Price $110.00 per Adult and $44.00 per Children (Minimum of 80 guests) plus 7% Sales Tax and 18% Service Charge. And actually … why Miami? As I mentioned, Miami is a great destination for many types of travel couples. But. What would you travel the world to say ‘ I do’ in this particular city? There are a lot of reasons! The beaches in Miami are idyllic. South Beach, also nicknamed SoBe, is the largest one in Miami Beach and also the most popular one. Relax on SoBe means endless sun, sand, and clear blue water. Plus, with the great weather in Miami Beach, almost every day is a beach day! Even in the winter, the water is good, especially if you’re used to colder temperatures. I was (still am) very impressed by the art deco buildings. I am a big fan of an art deco architecture so I always enjoy admiring it, especially in the US. 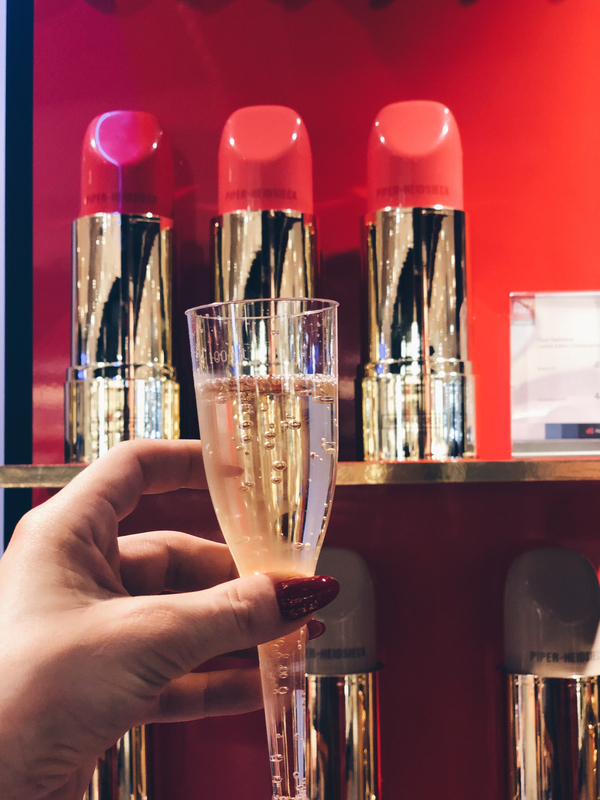 I felt like I was thrown into the Golden Era – everything was as it appears in the movies. It put me in a good mood although I was super tired and disappointed. 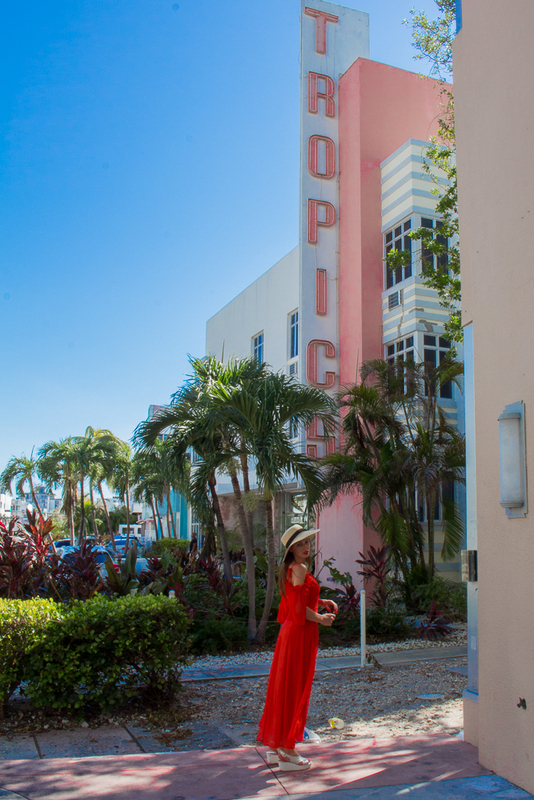 Miami Beach’s Art Deco Historic District is made up of 800+ buildings and structures built between 1923 and 1943. When decades of neglect nearly caused Miami’s Art Deco scene to be forgotten, the Miami Design Preservation League was founded in order to prevent it from being demolished. 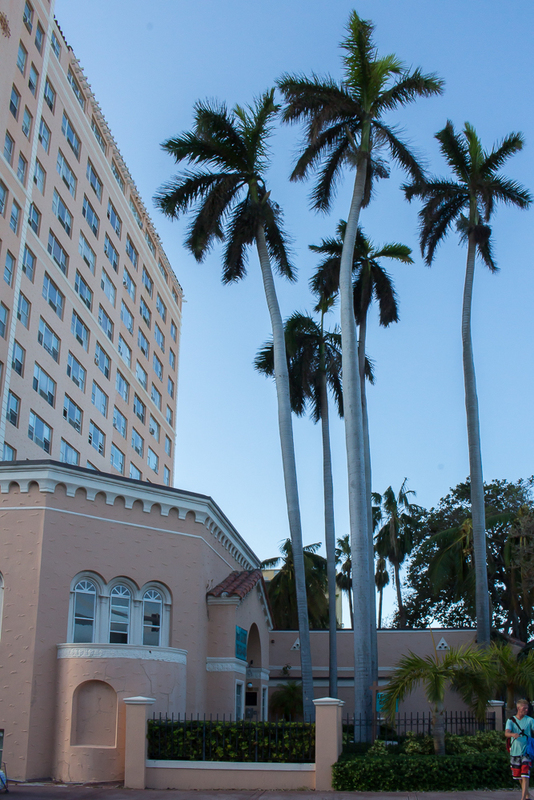 It was thanks to MDPL Art Deco in Miami gained national protection, motivating designers and developers to bring out the area’s Art Deco elements and restore its pastel boutique hotels to their original style. I was very impressed with how well-kept it looked. I thought it must make a great source of inspiration for many fashion designers – I remember my first university project was concentrated around the 1920’s era. Let’s admit it – Miami is known for partying. I haven’t seen such huuuge cocktail glasses ( or shall I say cocktail jars) anywhere else in the world. The city is known for the super cool vibe, worldwide famous DJs, clubs, open-air bars etc. There’s constantly something to do, no matter what time of the day or night. I think it is worth to let it go and dance till the sunrise, especially if it counts as an after-wedding activity. The food is also a very important factor! 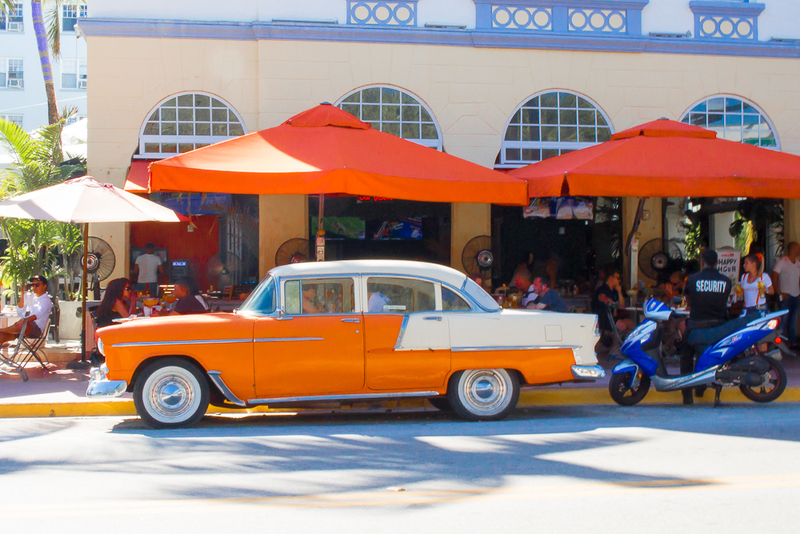 Apart from Cuba, Miami is the only other place where you can pig out on authentic Cuban food. Probably the most convincing out of this list of reasons to visit Miami is the weather. Living in Miami, I have the luxury of waking up the morning and throwing on a pair of cute shorts, a tank top, and some flip-flops and I’m ready for my day. If you live in a colder climate, this is the perfect reason to visit Miami. You’ll have the opportunity to explore some different fashion and wear things you never have a chance to — like some adorable sundresses! It might do as a post-wedding activity for the couple 🙂 Miami is a huge tourist city, so there are plenty of shops everywhere for just about everything. There are the most amazing fashion boutiques, discount shops, outlets as well as some shopping malls and galleries. 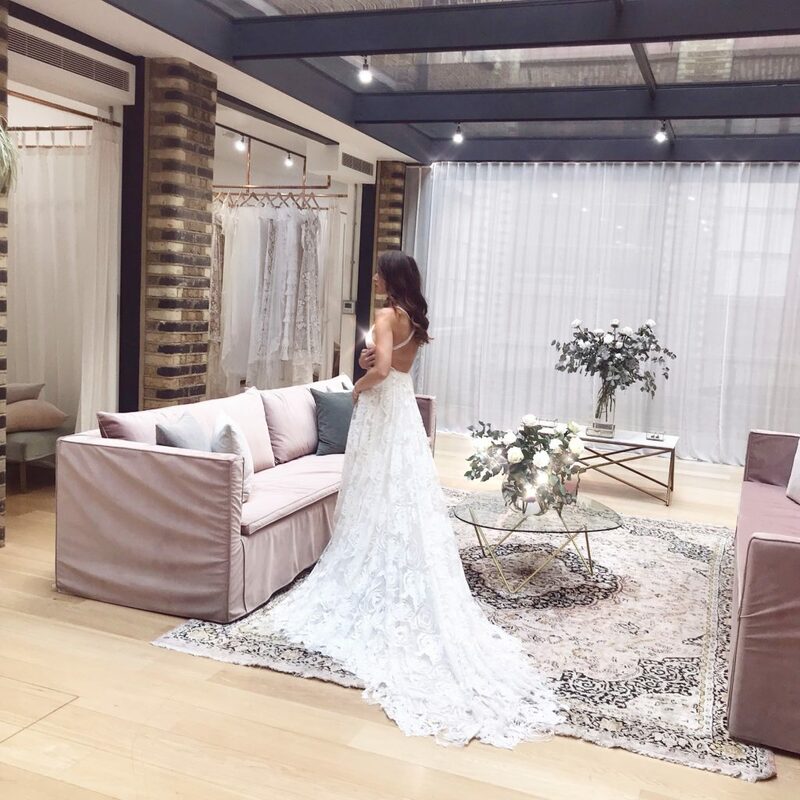 The brides could come to Miami before their Big Day for the wedding dress shopping as there are a lot of prestigious bridal showrooms in the city! Miami has a lot to choose from! 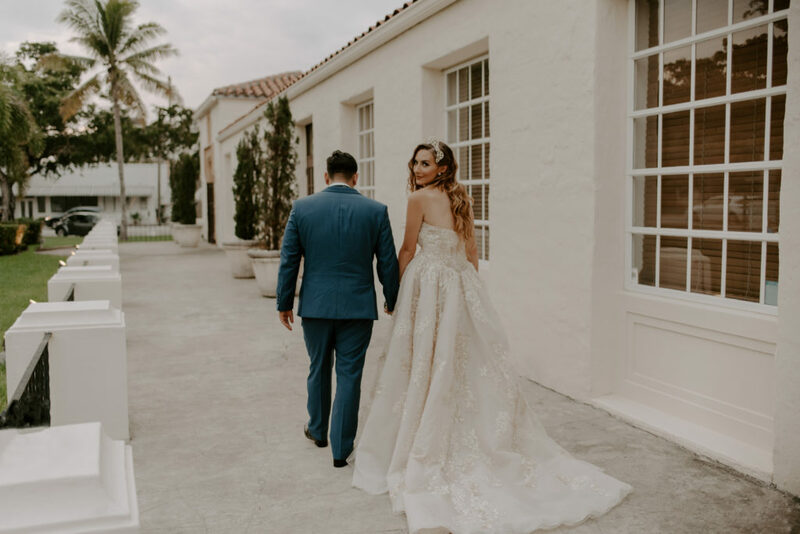 I personally love Coral Gables Bridals, Lovely Bride Miami, Alegria’s Brides as well as Alessa’s Bridal. 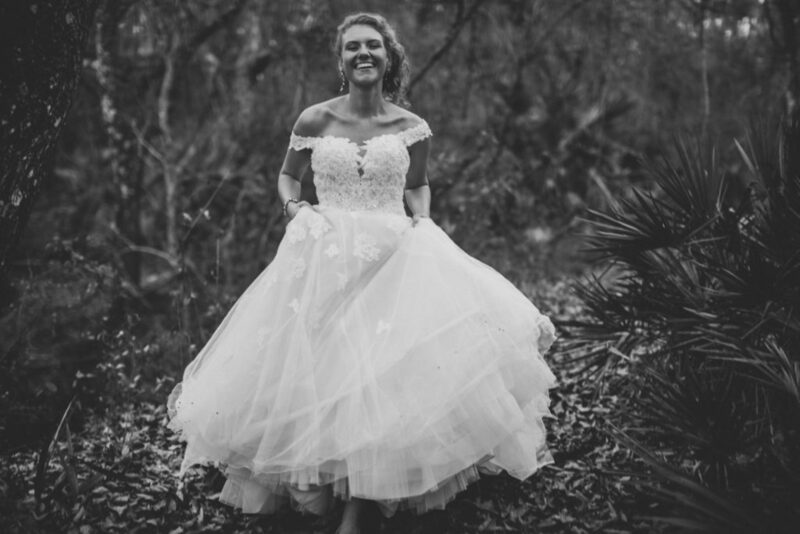 There is a lot to choose from – you can pick from a beautiful beach wedding dress or a glamour gown. Miami has it all! To me a Gator Park is a great idea for the day after the wedding. You could take your guest for a day trip (takes around 1 hour from Miami) to the famous Gator Park. Also, if Miami gets a little too mainstream, you can book a cruise ( starts from… $70) and head over to the Bahamas! It is so close to Miami! 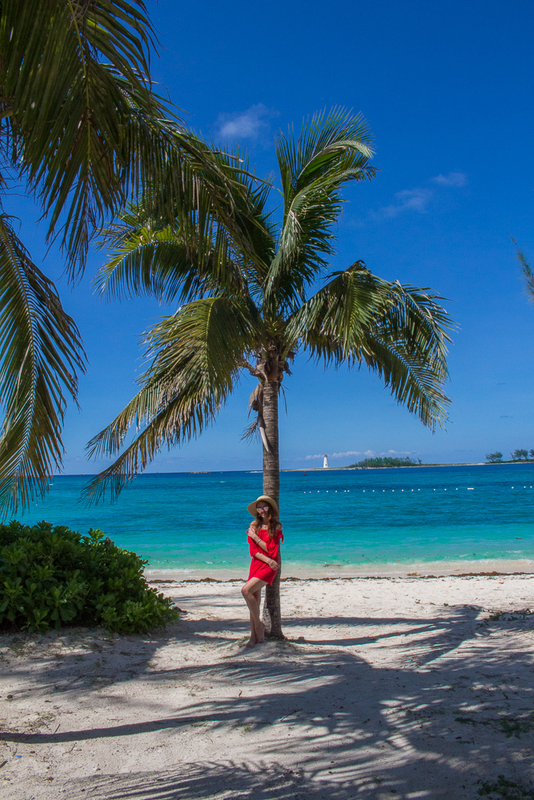 What would you say to a mini honeymoon on Exuma?